White Widow has always been a reliable producer of excellent quality cannabis. It’s hard to estimate the total amount of White Widow that has been successfully grown and smoked over the last decades, but it’s definitely a very, very high number. 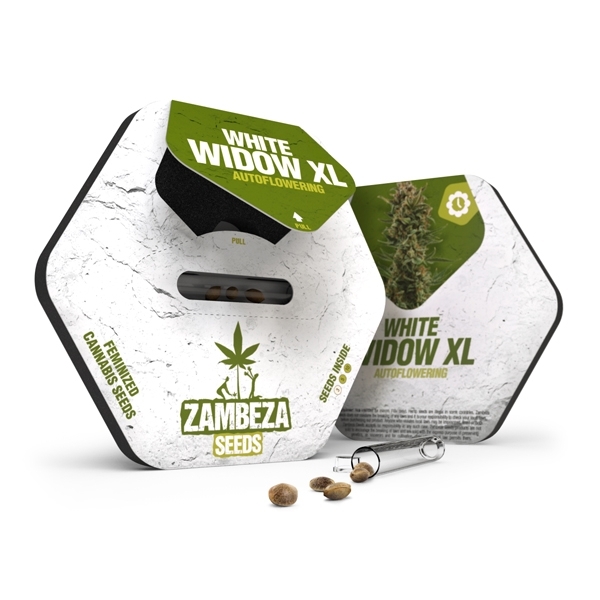 Zambeza Seeds is honored to introduce White Widow XL Autoflowering – the worthy successor of the mother of all strains. It was created by crossing our White Widow XL with Ruderalis genetics. Zambeza’s White Widow XL Autoflowering is sativa-dominant, and capable of producing large indoor yields of up to 450-500g/m², and outdoor harvests of up to 150-250g per plant. Indoor growers will profit from homogeneous phenotypes, with indoor heights of 80-110cm. 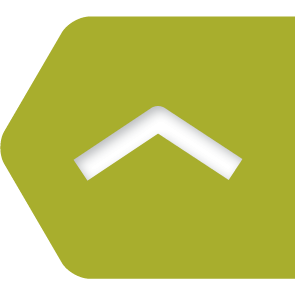 When grown outdoors, plants might get a little taller but rarely exceed heights of 120cm. 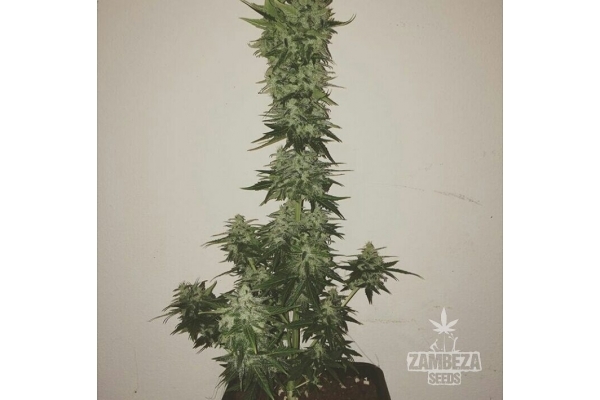 Zambeza Seeds spent more than two years to select the best performing phenotypes to create this strain. Vigour and productiveness fears no comparison! 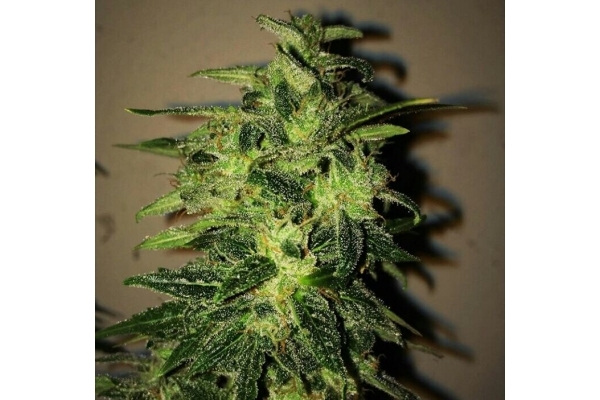 The effect of White Widow XL Autoflowering can be described as a classical hybrid stone, with uplifting components that can enhance creativity, but also with tranquilizing, and relaxing elements. It’s great to have a versatile smoke like this at home, ready to be used in many different situations, throughout the day or late at night. The Aromas of our White Widow are a complex blend of spicy, sweet, and sour tastes, truly delightful if buds are properly cured. 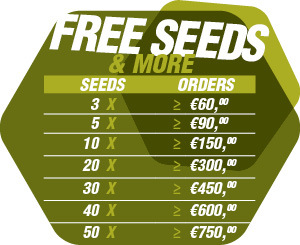 Your choice to grow White Widow XL Autoflowering is understandable because it’s based on hard facts. Thorough consideration will always bring you back to the same conclusion: Genetics of White Widow worked great in the past, they are working excellent right now, and they will always be a guarantee for premium quality weed and great hybrid vigour. Reconsider other decisions in life, but not this one! Comment : Servizio molto efficente, spedizione arrivata in Sardegna in appena 5gg, è appena arrivata, a giugno posterò una review dei semi di WW XL Auto! Comment : Bonnes graines, 3/3 germées et les jeunes plantes se portent à merveille. Merci. Je recommande. Comment : Tutto ciò che si può amare di una White Widow racchiuso in una sola, eccezionale e vigorosa varietà autofiorente. Di fatto, questa varietà ha superato in qualità il suo predecessore. Mantenendo una grande abbondanza di resina ed un elevato livello di THC, questa pianta produce molto di più, con effetti molto più potenti di quelli dei membri della sua illustre famiglia. La White Widow Auto si adatta a coltivazioni indoor, outdoor e in serra e produce fino a 40-130 grammi per pianta in solo undici settimane. I coltivatori, a lungo fedeli alle varietà White Widow, saranno felici di aver trovato una grande alternativa in questo suo discendente autofiorente.